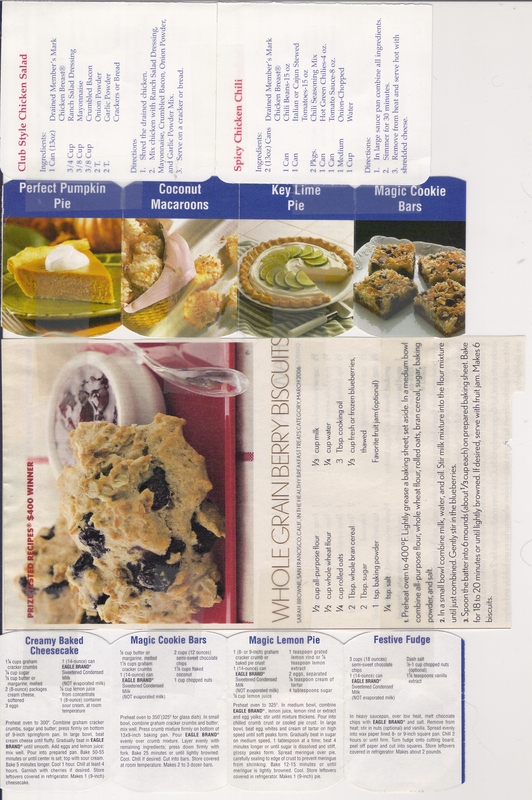 Another suggestion; many food boxes and labels have recipes printed on them. Cut them out and tape them onto a sheet of computer paper. Put the sheets in page protectors. Purchase a D ring binder (D rings don’t pinch pages as much) I found that a fancier binder that zips all around works well for me. Insert your pages into the binder. 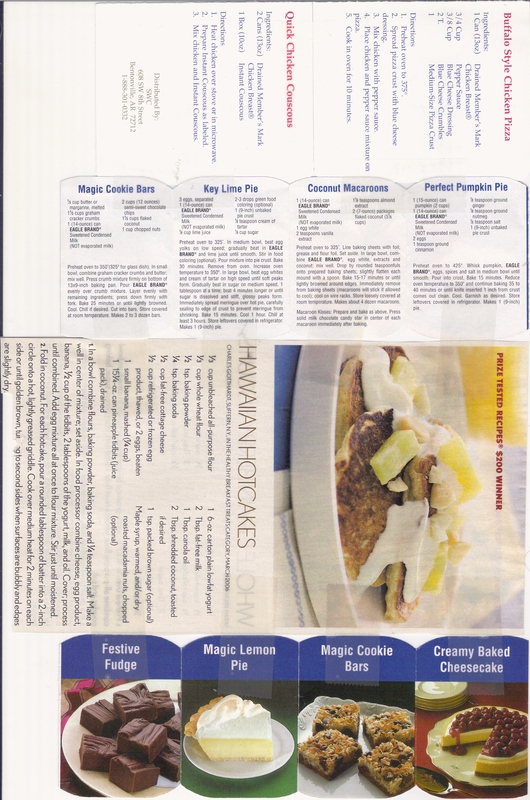 If you print out recipes from these web sites insert them into your binder as well. Do your get recipe pages from your church or women’s group? Did your Pampered Chef stuff come with a few recipes? Do you have a load of scrap paper recipes? Don’t scrap them just scrapbook them. Use the whitespace around your existing full pages to place your cutouts or smaller scraps on use every bit of space to condense your hardcopies. 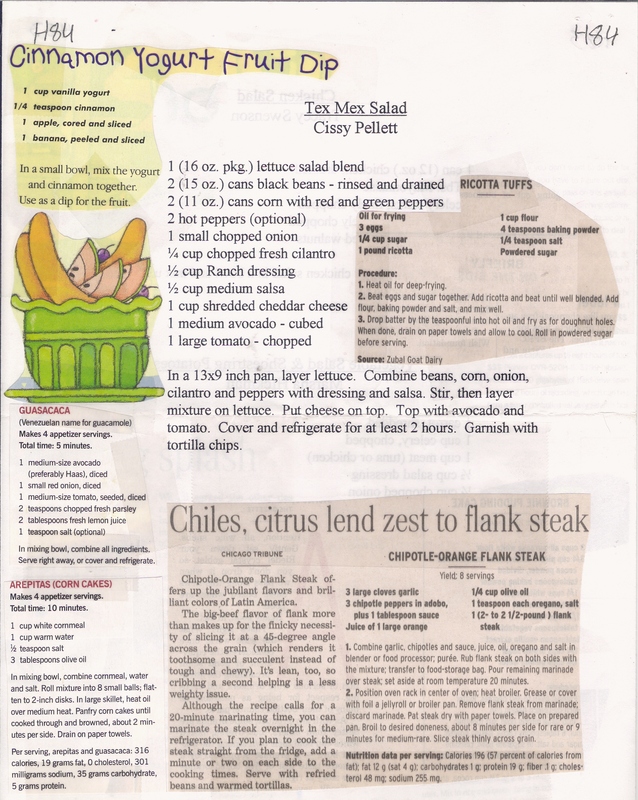 Try to put similar recipes on the same page if you can. 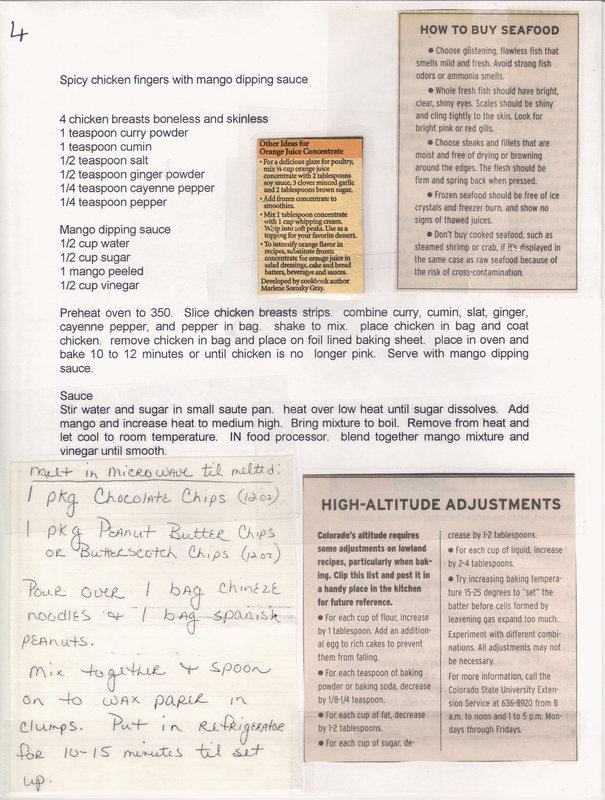 These last two pages are front and back of two sided recipe articles. I simple taped them into one page allowing both sides to be viewed.